New business park with direct A road access. Langford Mead is on the western side of Taunton. 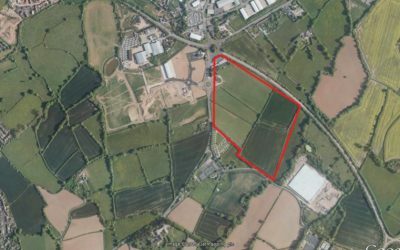 It consists of three separate, fully serviced sites totalling 5.1 hectares and is available for immediate development. The largest of the three is a flat, 4 hectare site, which would lend itself to B1 (non office), B2 and B8 uses. The owner, St Modwen Properties, offers design and build solutions to meet occupier requirements on either a leasehold or virtual freehold basis. Offices to LET – Deane House, Belvedere Road. Just to the North of Taunton town centre on a main arterial route. 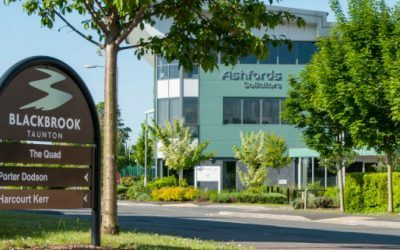 One last remaining 0.3 hectare plot on Somerset’s premier business park. 16 hectare site allocated for large scale commercial development.